In this blogger’s guide to featured blog images, we’ll answer all your questions about why you need strong photos and the best WordPress featured image size on your blog. You’ll also learn how to create them, and the best practices to follow when choosing and creating a strong post thumbnail! 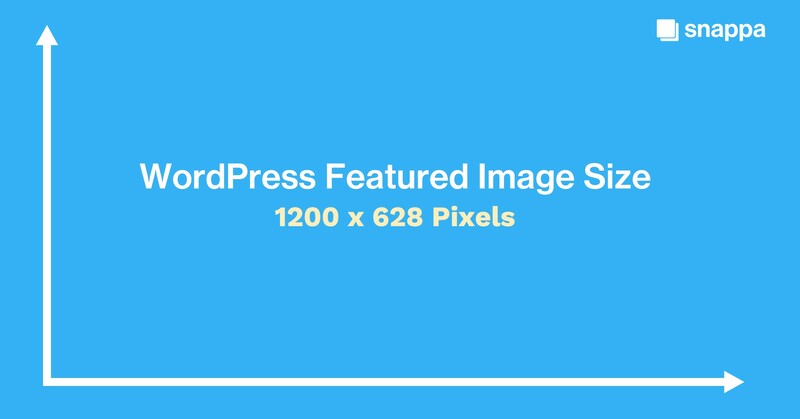 WordPress featured images will be the images that automatically become the post’s thumbnail. 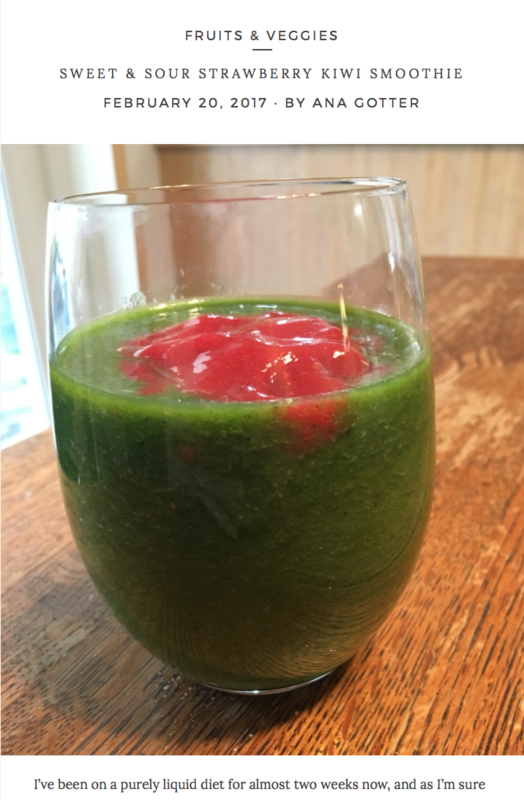 Your featured image will be the visual representation of the post that it is assigned to. It will also become the default image that will automatically be used when your posts are shared from your site onto your social media channels. 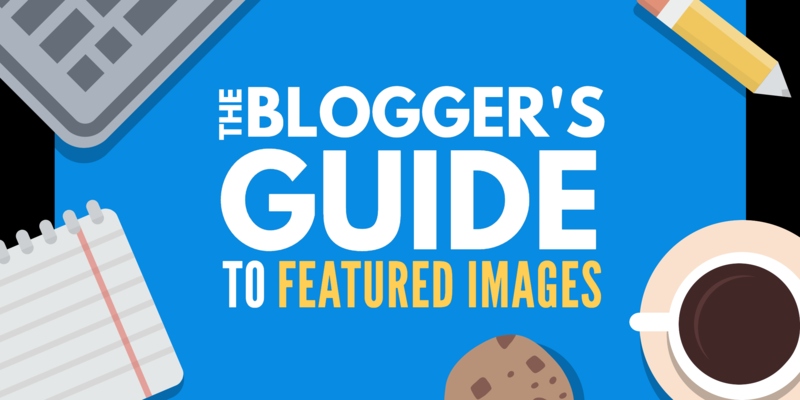 Your WordPress featured image will become the visual representation of your blog post. While some themes will automatically display your featured image at the top of your blog post (one of my sites does this), many will not; you can manually enter your featured image into your post if you want it to show up there. Some themes (like the Kindred theme, pictured here) will automatically display your featured image at the top of your content within each blog post. 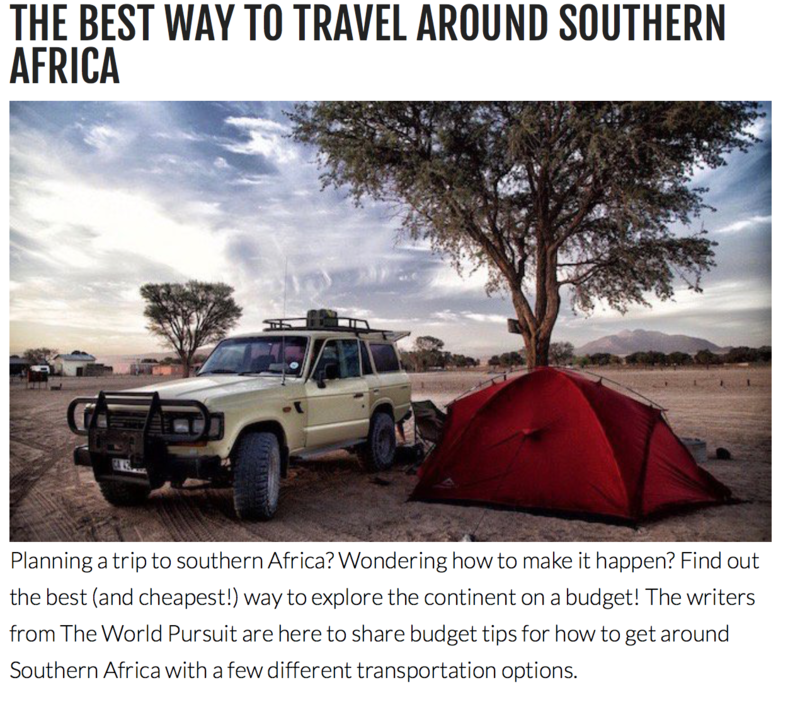 Plenty of bloggers just let WordPress select any image to show up as the post’s thumbnail; in many cases, this will be the first image in the post. You must manually set your featured image for each post. If you insert the WordpPress featured image into your post yourself, placing it either at the very top of the post or within the first 3 paragraphs is ideal. The most ideal WordPress featured image size is 1200 x 600 pixels and these dimensions generally satisfy most WP blog themes. Different blogs (and more specifically, different themes) may have featured images with different sizes. 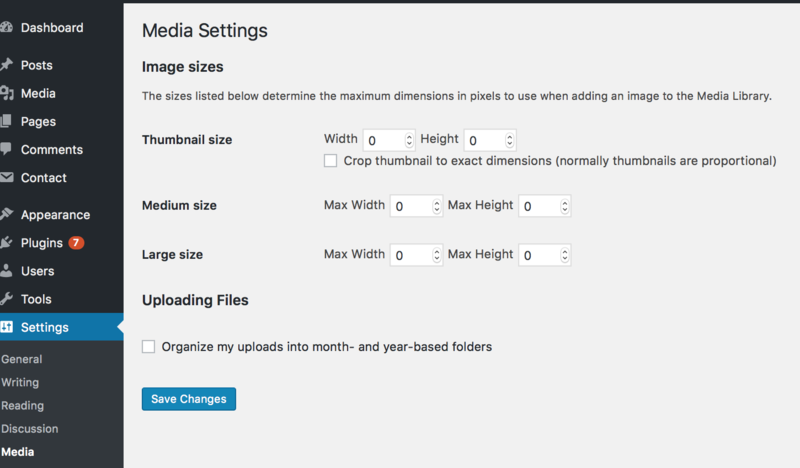 In WordPress, you can alter and customize your image settings so different image types will be sized accordingly. If you go to Settings and then Media, you can customize different image specifications for your blog. You can choose a set WordPress featured image size; all post thumbnail images will be scaled and cropped accordingly. The post thumbnail size lets you dictate specific image width and height dimensions for all WordPress featured images. Once your image is sized according to the best dimensions and specifications, your image will actually be cropped accordingly. Because of this, sizing your featured images proportionately to your post thumbnail size will prevent strange cropping issues. Size all of your featured images according to the post thumbnail size requirements in order to avoid awkward cropping errors. You’ll be able to choose any image in your library, or upload a new one if necessary. You can add in Alt Text and titles just as you would with any other blog images in the post. Upload featured images to your media library. 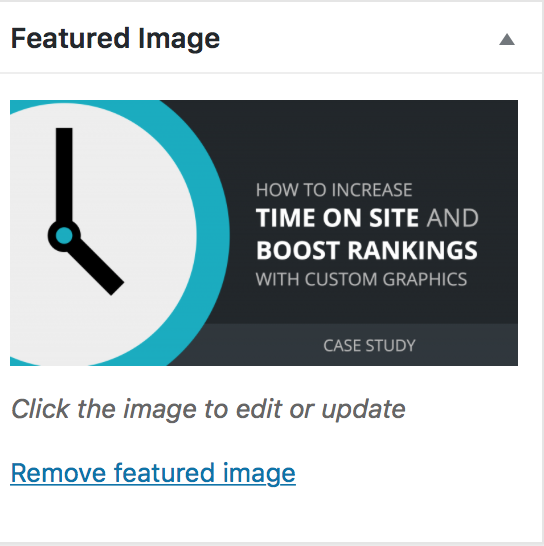 Once your WordPress featured image is set, it will show up in the Featured Image box on the right side tool bar. You can change it, remove it, or edit it at any time. You can edit, delete, or swap out your featured image in WordPress at any point. WordPress featured images are easy for bloggers to forget about, but that doesn’t mean that you should overlook them. Using high quality, consistently-styled featured images have a large number of benefits. It will almost immediately improve the look of your blog, giving it a more professional appearance thanks to the consistent, uniformed look featured images can give. Branded blog featured images can go a long way in helping new users find and learn about your business. Because these images are shared on social media, having an easily-distinguishable look for your featured photos can help build brand awareness and recognition on distribution channels like social media and Medium. Users will begin to notice the distinct look and recognize it as yours; this can get more clicks from users already following you, and help attract new users. Overtime, this can build a more loyal and engaged readership. 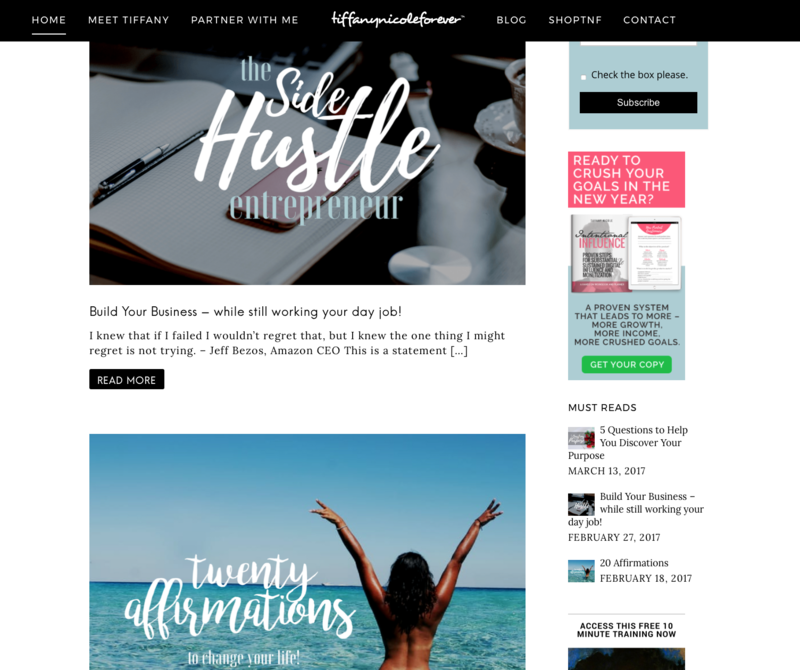 Some WordPress featured image ideas can be seen on tiffanyandnicoleforever’s blog. Their featured photos all have a distinct, stylized look that is easily identifiable. If you add in Alt Text to your featured image, you can also get an extra SEO boost. Place your keyword as Alt Text when setting your featured blog image in WordPress for an extra search engine perk. 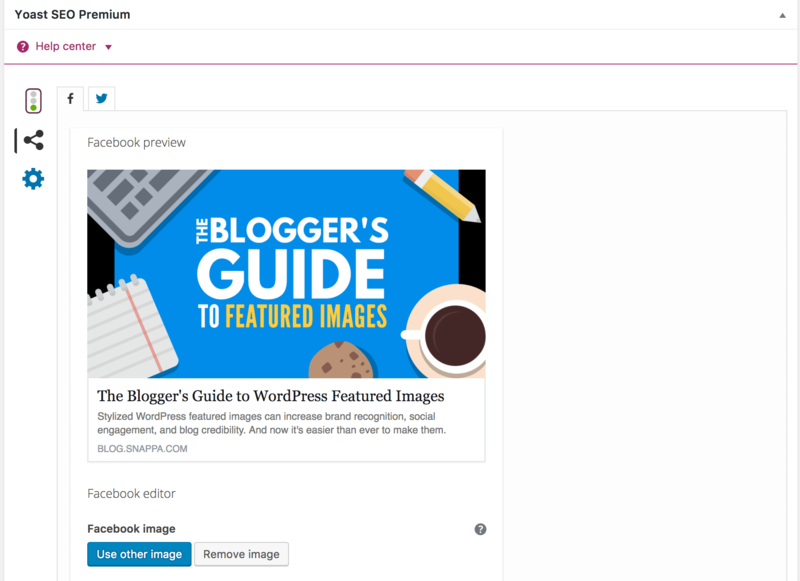 If you’re using the Yoast SEO plugin (including the free version), you can also upload specific post thumbnail images for different social platforms in WordPress. For example, the Facebook thumbnail size is 1200px by 628px. 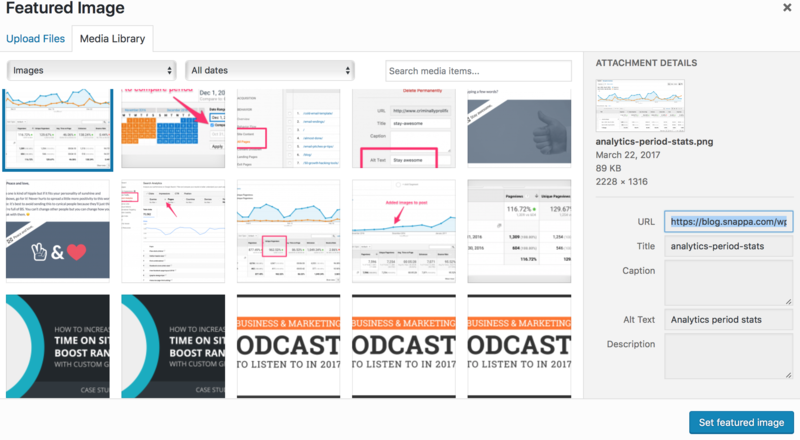 Using the Yoast plugin, you can upload a separate thumbnail to match that size. This ensures that no unwanted cropping takes place. Same goes for Twitter. 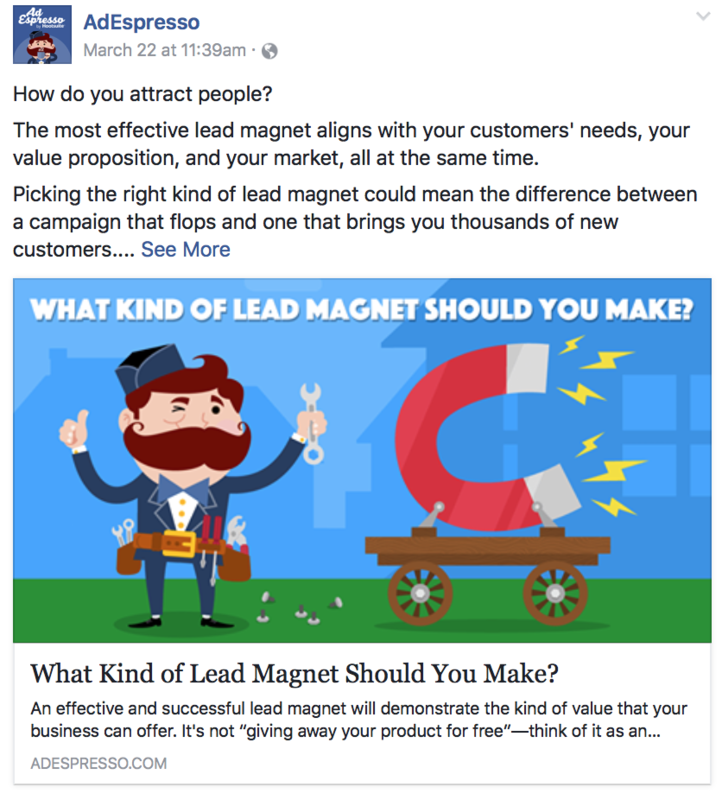 With the Yoast SEO plugin, you can set additional post thumbnail images for Facebook and Twitter. If you’re using Snappa to create your featured images, you can make use of our image resize feature to easily create multiple post thumbnail sizes for your post. 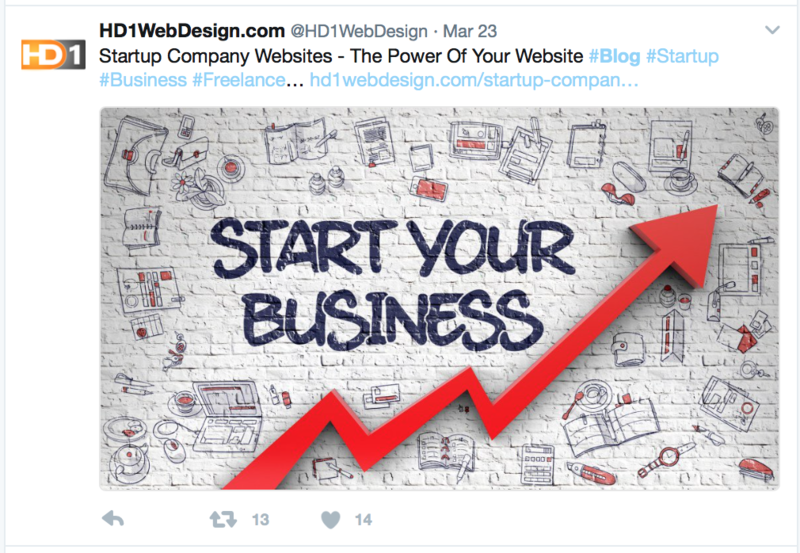 What Types of Blog Thumbnail Images Should I Use? This depends a lot on your specific blog. Many types of blogs will see the highest performance when using high quality photographs. Food blogs, wedding blogs, fashion blogs, and photography blogs are all examples of sites that would benefit from using relevant photographs as blog featured images. The key here is to choose relevant images. Food blogs should have the actual food they’re teaching users to make in the post as the WP featured image. 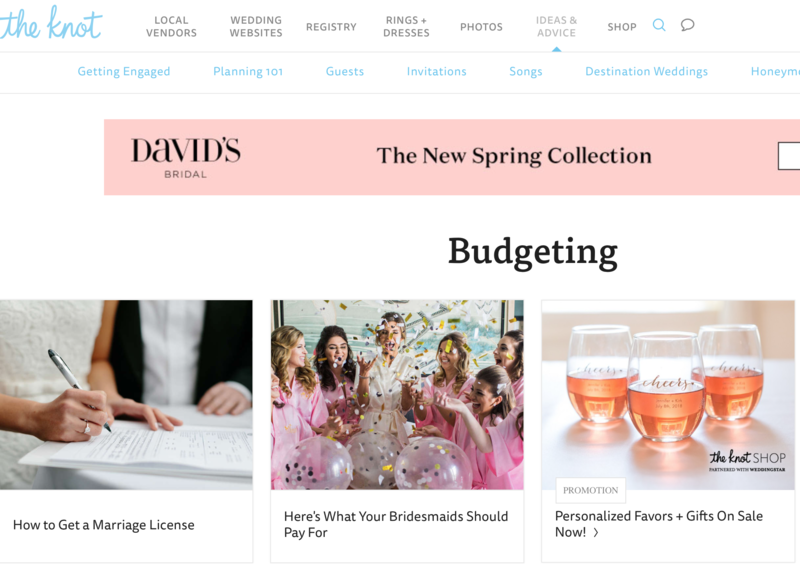 A blog post about how to throw a wedding on a budget would benefit from an image that incorporated a representation of money in the image instead of just a generic wedding photo. 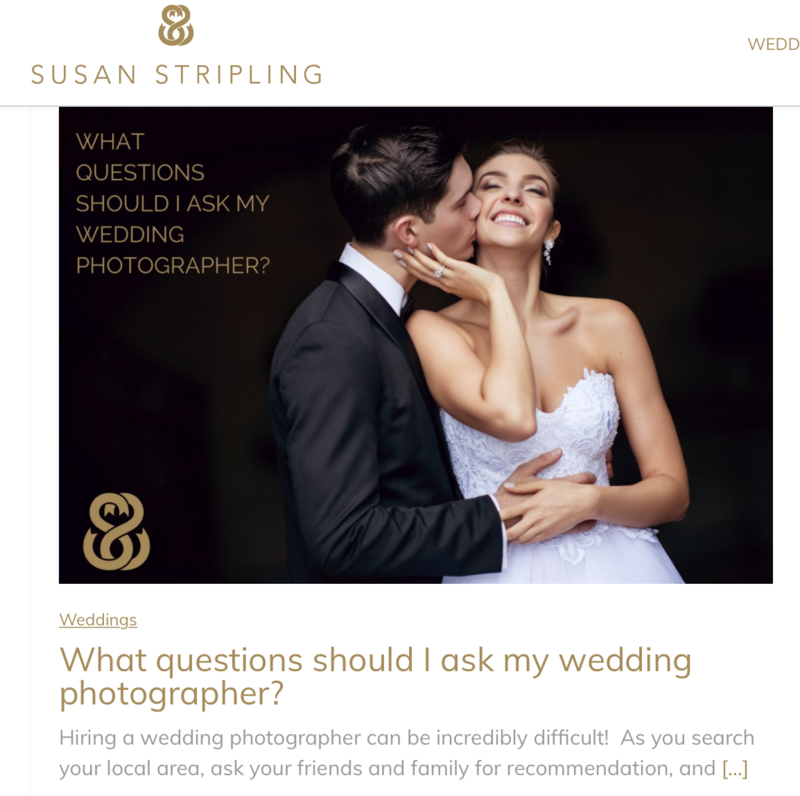 It’s essential that you choose not only high quality photographs as your WP featured images, but also extremely relevant photographs. This can improve the performance of your individual posts. 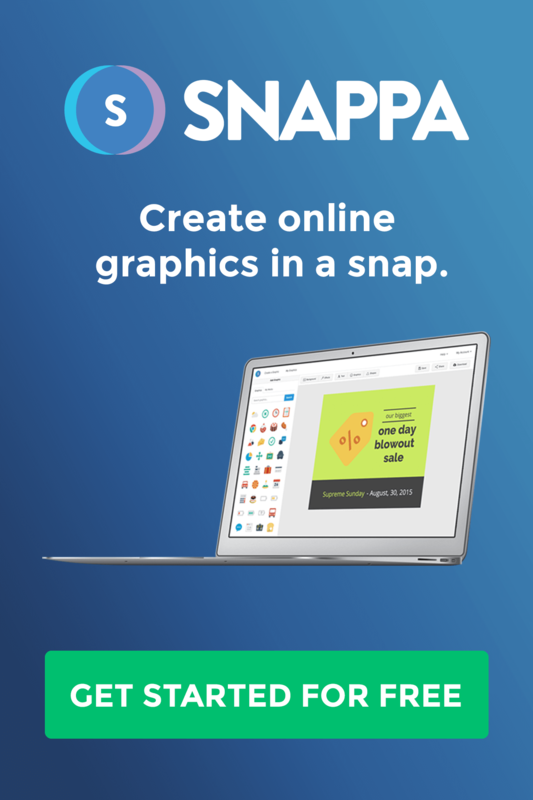 Many businesses—especially B2B businesses—benefit from custom-made graphic images like the ones we create and use on Snappa’s blog. These graphics should also be high quality and relevant to the blog post. You can easily add your logo or some element of your business’s branding in each of these images without it seeming forced or out of place. B2B Businesses often benefit from using high quality graphics as their featured images. Whatever type of images you choose, many businesses benefit from applying branding to their WordPress featured images. Because your featured image will represent your post not only on your blog but across all of social media, you want to choose an image that will look good at a larger size than your WP post’s thumbnail. 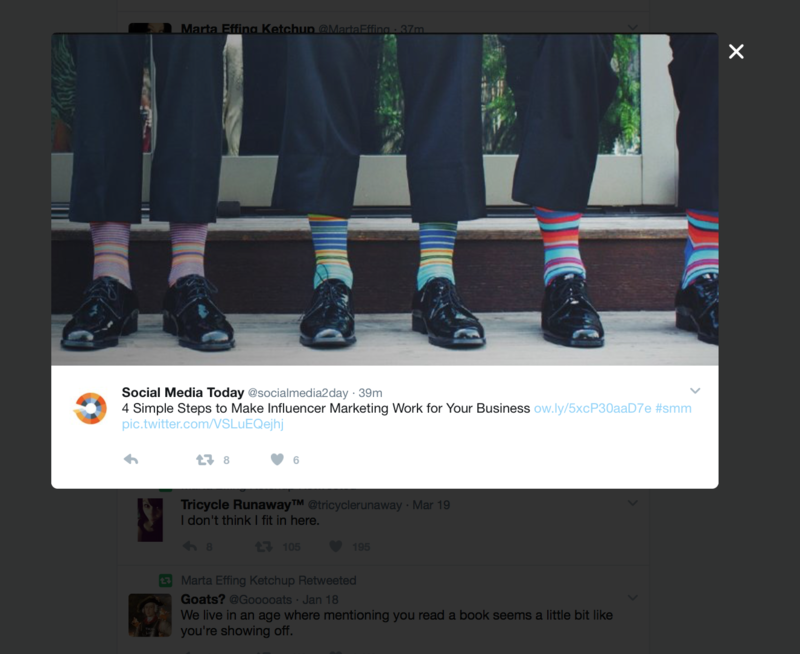 When users click on your image on Twitter and Pinterest, you want the image to look just as good at a slightly larger size. Sites like Twitter and Pinterest will increase the size of your image when a user clicks on it, requiring high resolution images that can be scaled up. Whether you’re creating a graphic or choosing a high resolution image, go with images that are simple and clean-looking; this organization and simplicity makes the images easy to digest, grabbing users attention more quickly. You want to capture a user’s interest immediately and convince them to click on your post, so the faster they’re able to figure out what the post is about, the better. 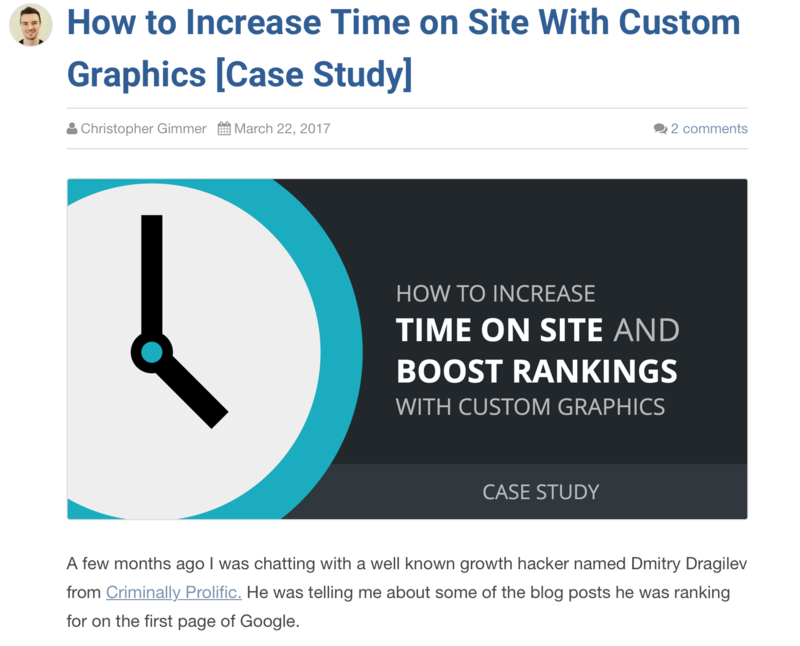 Your WP featured image needs to be visually interesting, but it should also be simple enough for users to decipher what they’re looking at quickly. Your WordPress featured images should typically adhere to the same style. If you add anything to your images—which I typically recommend doing—, keep these additions consistent; this can include your logo, the font of text that you use, and the information you place on your posts. Have you ever heard “we read with our eyes first?” We also tend to look at images in a post before we actually read the text; our brain actually processes visuals 60,000x faster than text. The images you choose can attract users, or cause them to skip over your description entirely, especially on social media. Because of this, choose relevant images that represent your posts accurately, or you might see an increase in bounce rates. Relevant images combined with textual clues and branding can help drive clicks and capture reader interest. One prevalent issue in the blogging community—even amongst credible professionals—is the often accidental use of images that are actually copyrighted. Not only will this make you look bad, it’s also actually illegal and opens you to legal and financial consequences. Since all images posted online are covered by copyright protection automatically, you have to be careful. All images shared online are instantly protected by copyright law; make sure you have the legal rights to use the images you choose. 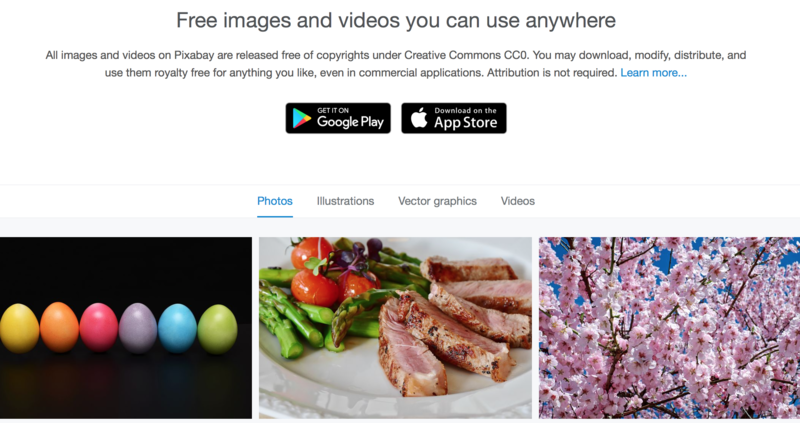 Unless you’re sourcing images from copyright-free stock photo sites like StockSnap.io or Pixabay, you may get yourself into trouble. Ideally, you want images that are licensed under Creative Commons CC0 which all images included in Snappa fall under. The best WordPress featured images will help your blog look more professional. They will help build brand awareness and recognition on multiple distribution channels (including social media), so forgetting about them could be hurting your business. 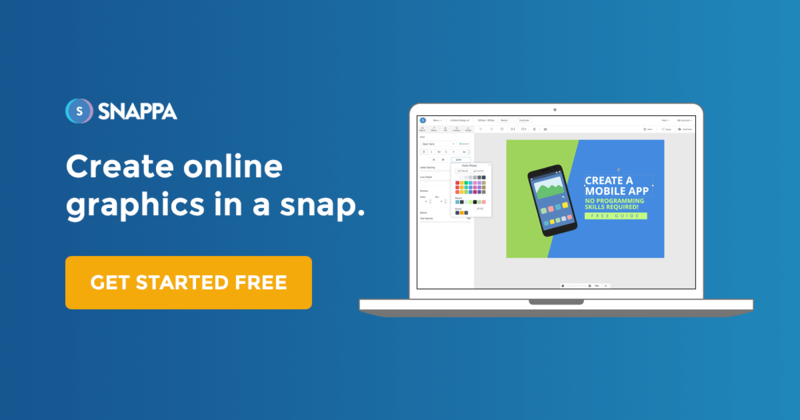 With easy-to-use design tools like Snappa and our list of best practices, you can start creating stylized, branded, and properly sized WordPress featured images. These photos will help you build your readership and your brand. Your WP featured photos can even help keep users on your site longer, increasing the results you’re getting from your content marketing campaigns. Whatever types of images you choose, just remember that it’s important to use the best WordPress featured image dimensions and to keep your designs consist. These will be key to getting as many benefits as possible from your WP post thumbnails. What WordPress featured image dimensions do you use? Which types of featured photos do you upload to your blog? Which blog has your favorite series of featured images? Let us know what you think in the comments below!